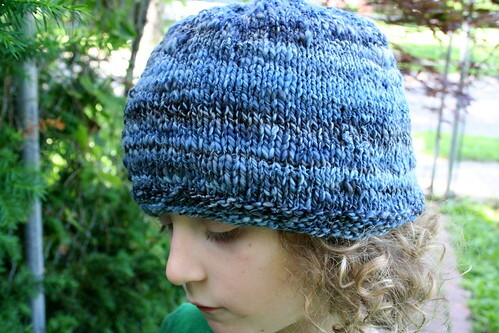 YIP.6.9 – Handspun Hat! !, originally uploaded by earthchick. So here it is, my first handspun handknit. 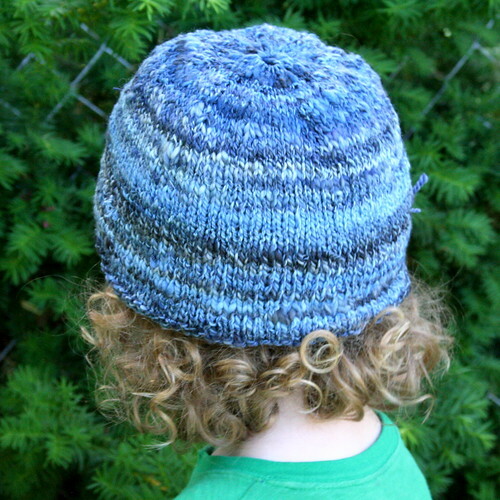 The spinning is a typical beginner yarn, and the hat is too big (though it’s modeled here by Little Buddha, I meant it for My Old Man – but it’s too big for him too). Still, I am thrilled with it. You can see I don’t have much consistency with my spinning yet. 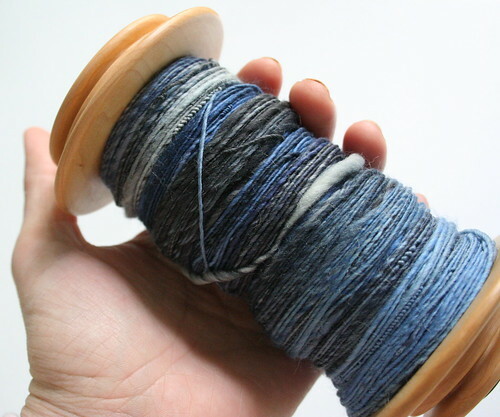 Plying really fixes a lot of problems! Though you can tell it’s still a thick-and-thin. This is 4 oz. 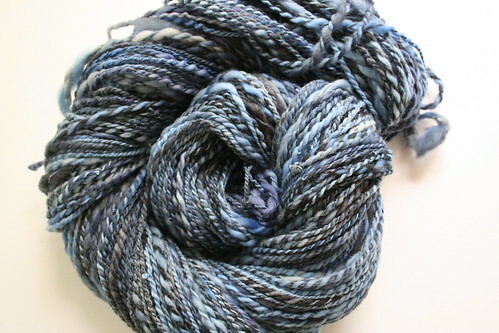 of fiber, which I spun into 214 yards of 2-ply, 12-ish wpi. 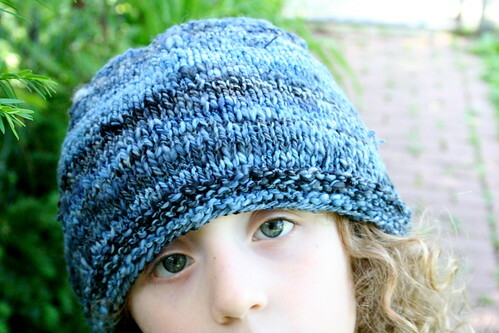 I’m not sure the final yardage on the hat, though it is definitely somewhat less than the total amount. pattern: Kim’s Hats from Last-Minute Knitted Gifts, the garter-brim version. I knit the man’s size. I will probably rip this and re-do it, either as a smaller version of the same hat, or as a Scholar Collar. In the meantime, though, I enjoy looking at it and fondling it. I think this looks great, especially since you’re on a new spinning wheel! Beautiful first spin. I agree — the colors are beautiful. It looks awesome! Spinning seems SO hard to me. I am really impressed! It looks great! I love the variation of color. I’m impressed too! Ooh, the colours are LOVELY! And as someone who is still way to chicken to spin, I say hats off to you! Congratulations! I haven’t knitted anything with the little bit of handspun I have created.